We have been to many Persian restaurants and I can honestly say this was our least favorite one. My husband’s coworker told him numerous times to try this place. Not only the place looked like a hole in the wall but it had the shortest menu we have ever seen. The weird thing is that a few of their dishes were not even listed on the menu. Our waitress asked us what we wanted for an appetizer? I told her all you have is yogurt dishes and salads (basically the stuff you can easily make yourself). She said, what about Kashk e Bademjan? Now if you offer that dish, why not list it on the menu? It was a good dish but more similar to Baba ghanoush than Kashk e Bademjan. 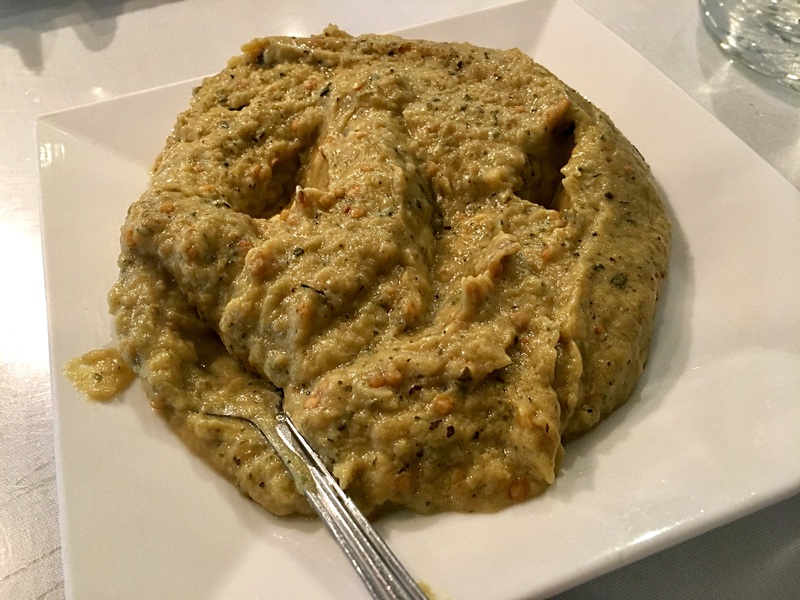 Usually Kashk e Bademjan has kashk (similar to yogurt) and sauté dried mint and onions on the top. It came with one Kubideh and one Barg and half of one tomato!! I have never been to a Persian restaurant that served half of a tomato. 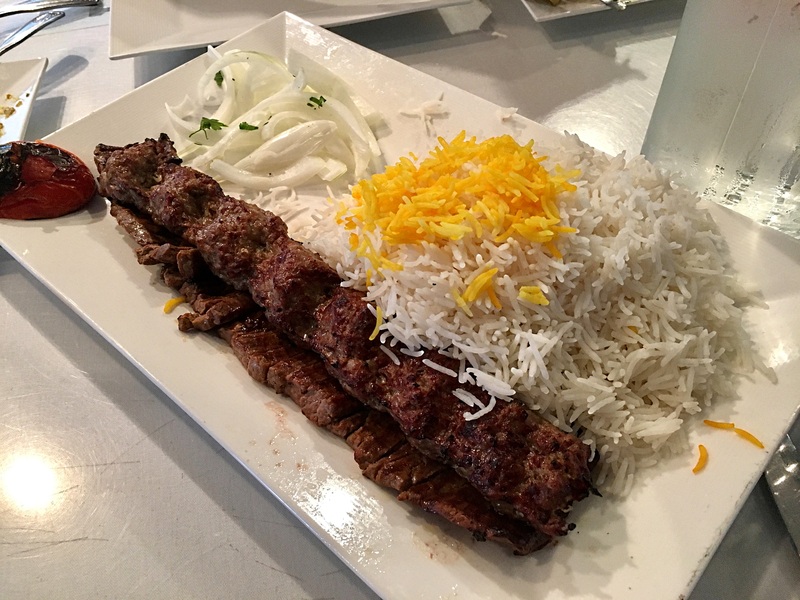 The kubideh was decent but on the salty side. The barg was tasteless and very thin. I had to put some butter on the top to make it more palatable. I can honestly say it was the worst barg I have ever had.